The Port of Sept-Îles is an international year-round marine harbour situated 650 km down river from Québec City on the north shore of the Gulf of St. Lawrence on the Atlantic Ocean. Serving the Québec and Labrador mining industry, it is the most important port for the shipment of iron ore in North America. Each year, approximately 23 million tonnes of merchandise, mainly iron ore, is handled, approximately 80% of which is destined for international markets. All of LIM’s iron ore railed to Sept-Îles in 2012 is being sold to IOC under a confidential sales contract. Under this contract, all shipments are handled by IOC through its port facilities at Sept-Îles. In July 2012, LIM agreed to participate with the Sept-Îles Port Authority in the development of a new multi-user dock, dedicated exclusively to iron ore shipments, at Pointe-Noire in the Port of Sept-Îles and has reserved an annual capacity of 5 million tonnes of iron ore with a right to secure additional residual capacity. The $220 million project, proposed and sponsored by the Sept-Îles Port Authority, is planning for two berths, dedicated exclusively to iron ore shipments, equipped with two ship loaders as well as two conveyer lines, with an annual capacity of 50 million tonnes per year, which the Port expects to be completed in 2015. The new multi-user deep water dock has the support of the Government of Canada. In February 2012, the Government announced its investment of up to $55 million and contribution to the construction of the new multi-user dock. “The Port of Sept-Îles is a leading economic player for the North Shore, Québec and Canada as a whole. It is a generator of economic activity worth up to $1 billion a year and an essential hub for over 4,000 workers. 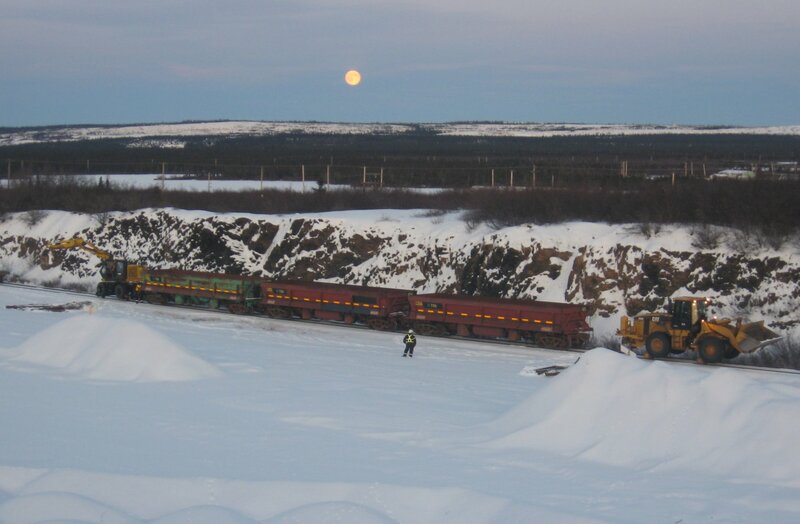 “Considering recent planned expansions for IOC and Cliffs mining companies and also the arrival of new producers in the iron market such as Labrador Iron Mines in 2011, the growth trend is unequivocally positive. For further information on LIM’s participation in the new multi-user dock, please visit www.labradorironmines.ca. © 2019 Mines Schefferville Inc. All rights reserved. A wholly-owned subsidiary of Labrador Iron Mines Holdings Limited.